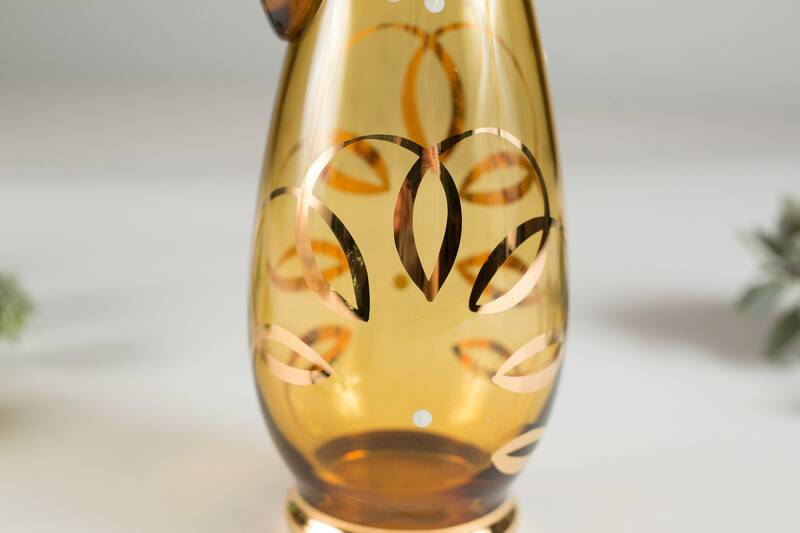 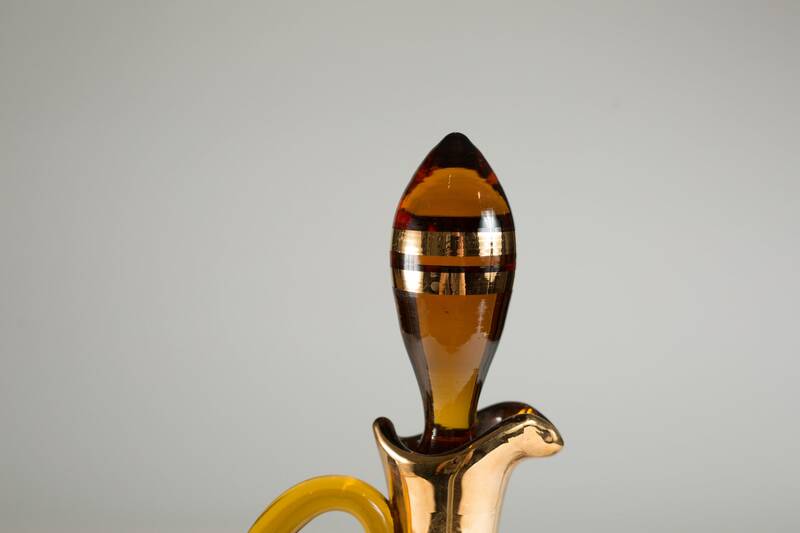 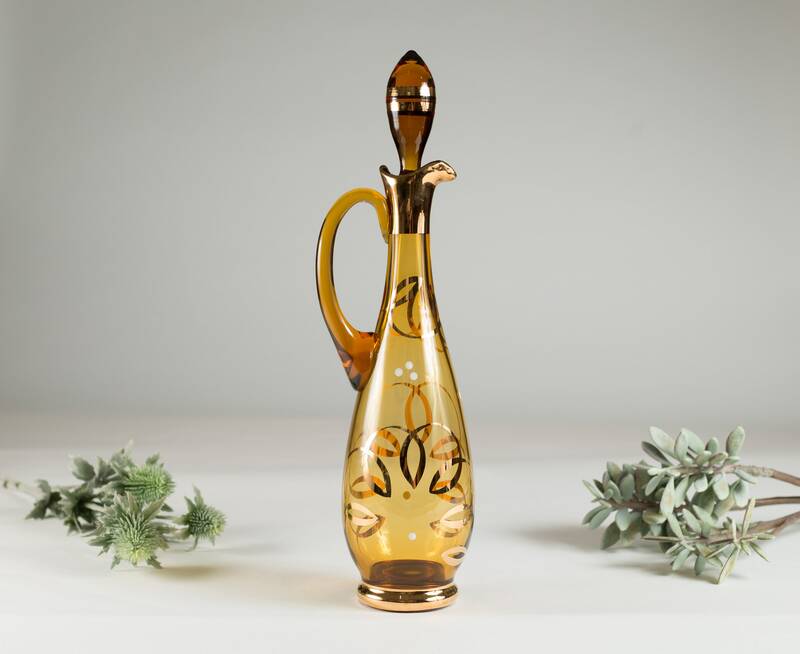 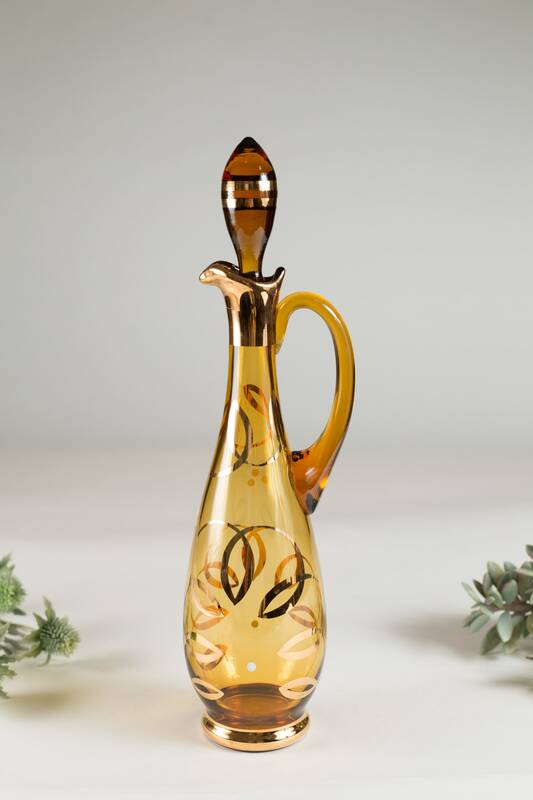 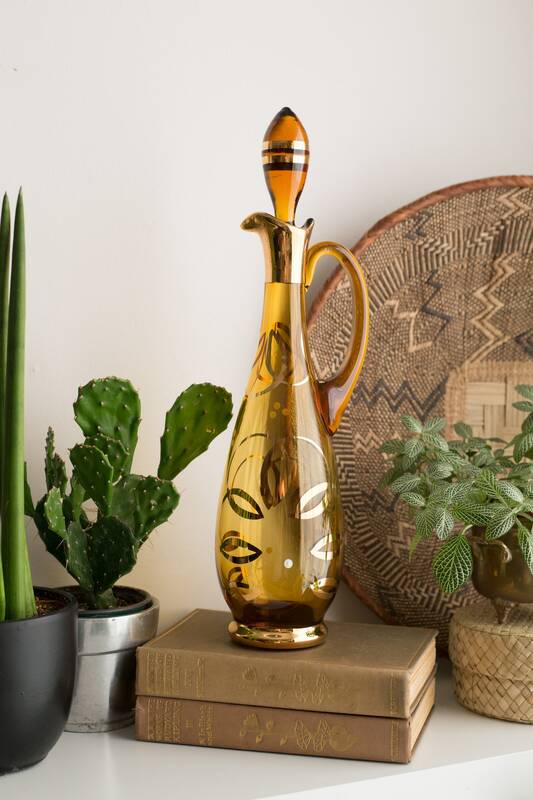 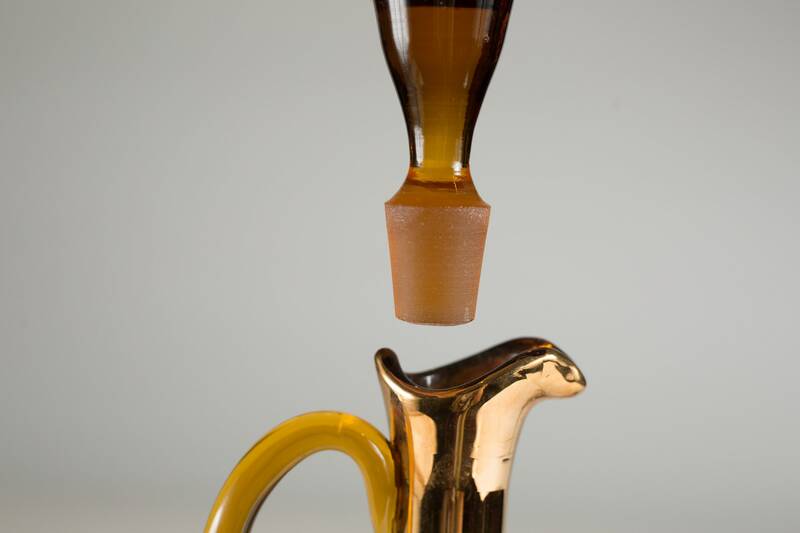 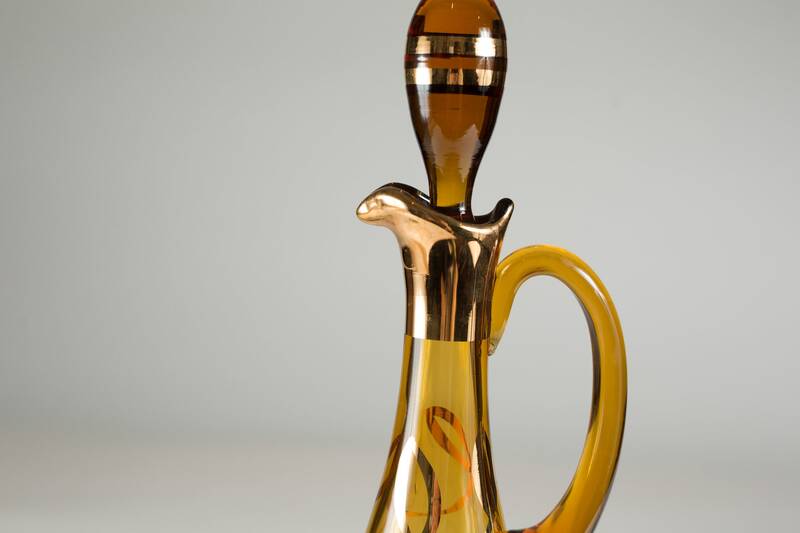 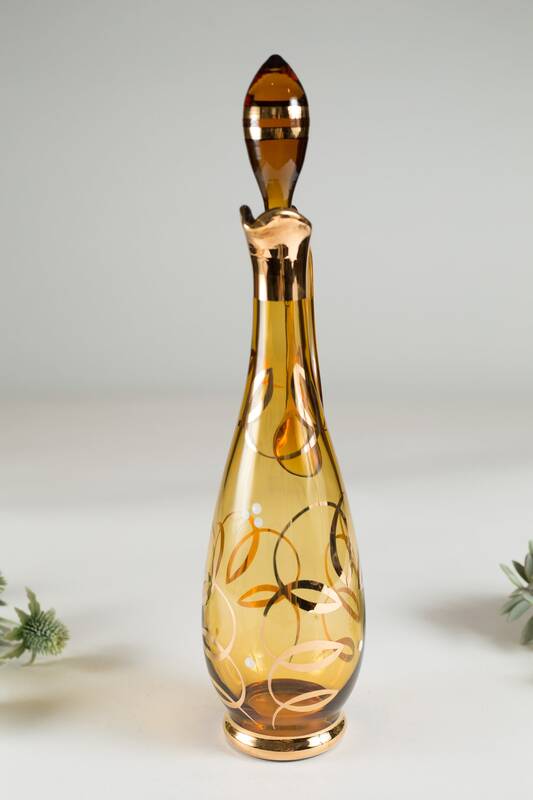 You are looking at a beautiful honey colored glass decanter bottle with a painted gold ornate pattern. 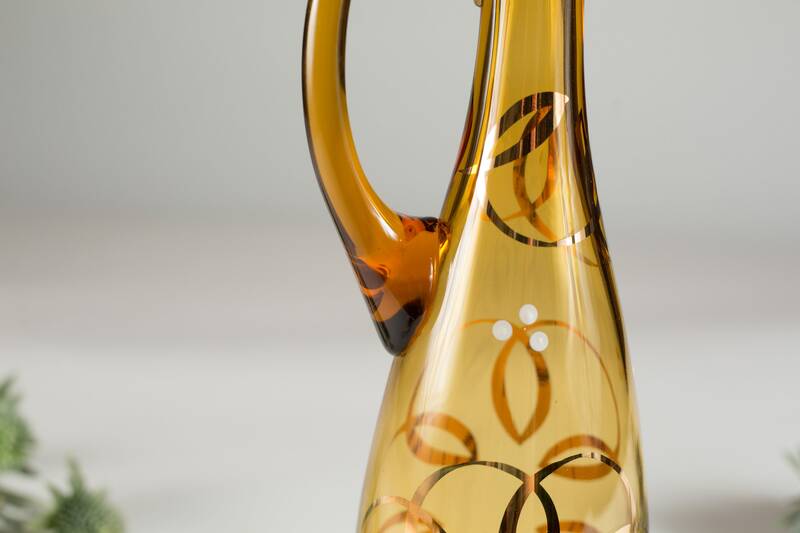 Excellent condition with no cracks or chips. 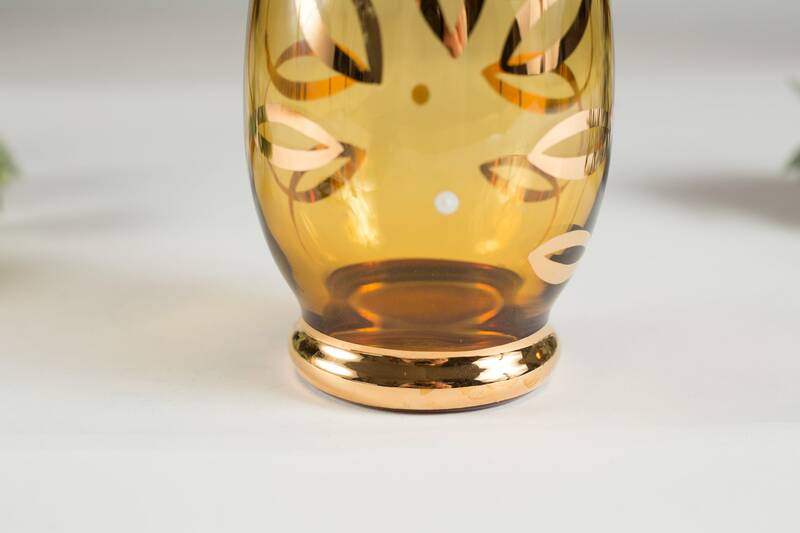 Inside is clean.